NATIONAL HARBOR, Md. 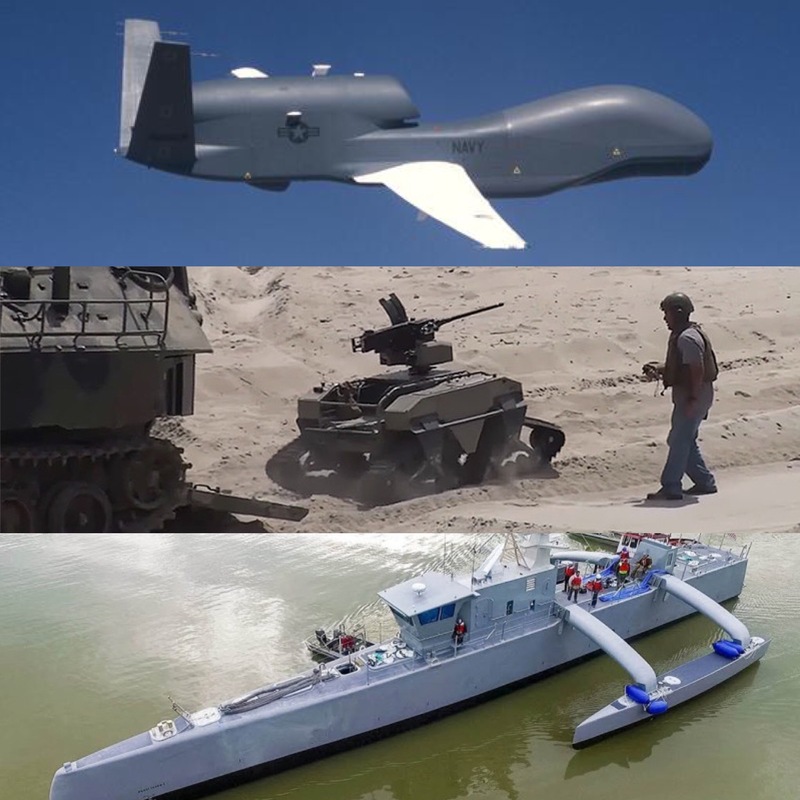 — The Navy hopes to eventually make unmanned systems just one tool among many for commanders to pick from. 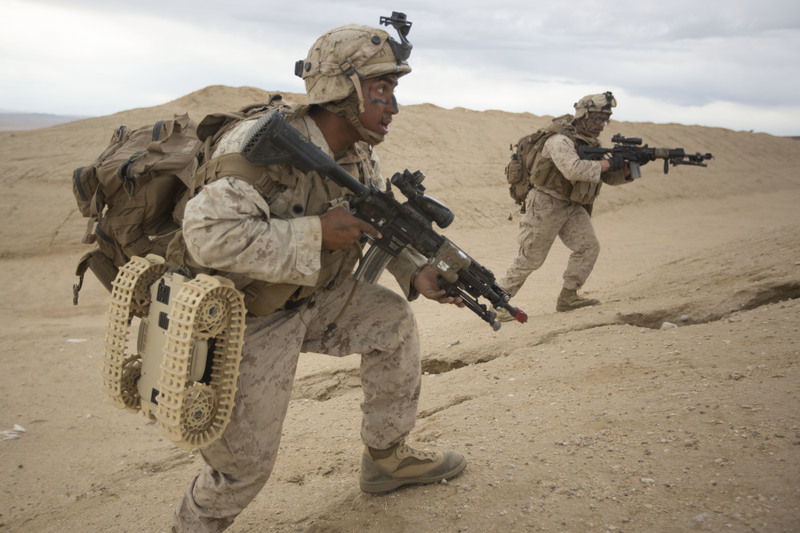 However, to get to that point the service will have to get unmanned systems into the hands of warfighters to work out the kinks, leaders said. Chief of Naval Research Rear Adm. David Hahn compared naval warfare to a golf tournament: each operator gets a set of tools; faces not only competition with adversaries but also environmental challenges; and needs to perform well over and over again to win over a course of days. “Are we ready to put [unmanned systems in] as one of the 14 clubs in the bag?” Hahn said to the audience at an unmanned systems panel. Despite hurdles the Navy and Marine Corps still face in integrated unmanned aerial, surface, underwater and ground systems into their operations, Hahn said the time is right to put more systems into operators’ hands to work through the remaining challenges. “I think there is a place in the bag to trade out one of those 14 clubs I’m carrying today and start putting unmanned things in there in a more robust manner,” he said. As an example, Hahn said the naval research community deployed a large unmanned underwater vehicle to the Western Pacific to see how difficult it would be to get the system into theater, along with the requisite logistics and personnel, to conduct a mission. “I will tell you, it’s tremendous. It’s not a simple task, and there’s some discovery along the way about moving these things that are on the cutting edge of technology, for doing a job that today I can do with a manned platform or manned set of tools. Things that you wouldn’t think about until you go do it. Can I take lithium-ion batteries on a plane? Can I airlift them? If I do, what’s the condition they have to be in?” Hahn said. 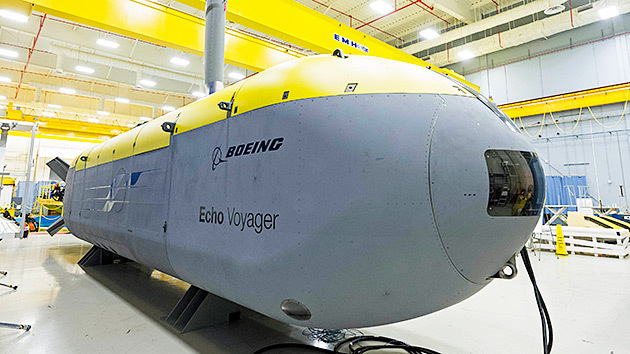 Echo Voyager is the newest member to join Boeing’s unmanned undersea vehicle family. The 51-foot vehicle is designed to stay underwater for months at a time. Boeing photo. The operations taking place in and around San Diego are meant to look at not only how to use the SeaHunter but also how to optimize its use within broader fleet operations planning, as well as understand what the USV’s limitations are. 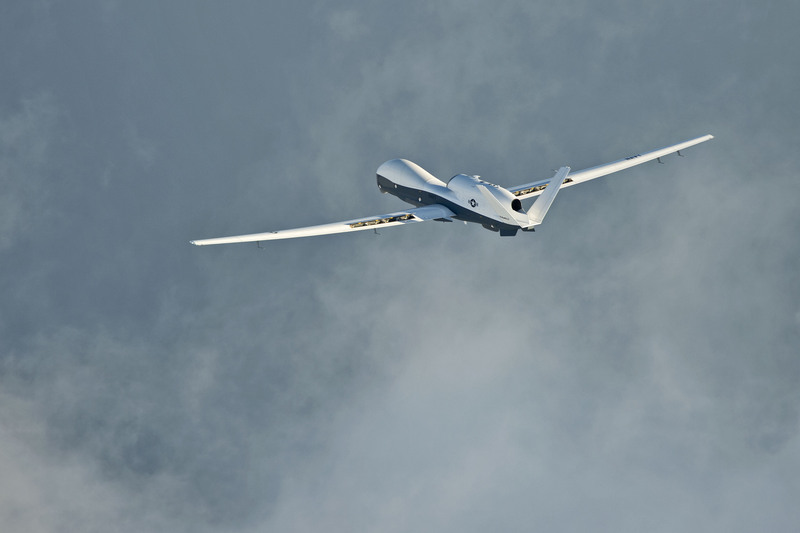 During the same panel discussion, Rear Adm. Mark Darrah, the Program Executive Officer for Unmanned Aviation and Strike Weapons, said within the unmanned aviation world there are also some policy and training issues he’s still working through. “There is an aviation culture that we have to manage where we had, early on, people trying to apply the 3710 NATOPS approach of who’s going to fly these things, do they have to be aeromedically qualified to fly a drone, and so on and so forth,” Darrah said. Brig. Gen. Christian Wortman, commanding general of the Marine Corps Warfighting Lab, said during the panel discussion that the Marine Corps is also working through training, certification and policy issues as it relates to Marines using unmanned aerial systems – especially surrounding the major ongoing initiative of outfitting infantry Marines down to the rifle squad level with small UAS to boost their situational awareness. “And then the training and certification of the users: there are some legacy regulations and legacy practices that make a lot of sense in this kind of environment, but if you’re talking about employing a Group 1 UAS at the rifle squad level, 13 of our Marines, do they need to have the whole training and certification process for our manned aviation platforms? We’ve just got to wring that stuff out and make sure it makes sense,” Wortman continued. Though the Navy and Marine Corps need to work through these policy, training and logistics issues before unmanned systems can truly be as integrated into fleet operations as are a P-8A Poseidon maritime surveillance manned aircraft, or a team of reconnaissance Marines on a rigid-hull inflatable boat, Hahn said he didn’t want to see the services keeping unmanned systems separate in any way – the integration process needs to start now and continue so that they are always viewed as a tool in the toolkit rather than a separate item that separate operators use for separate missions. “I don’t think we can view this whole part of the toolset as unique or different. It’s just another club, and if we get the whole team out on the practice range, out on the driving range, and we can get them to exercise these things enough, we’re going to figure out that the more we can turn this into a tool that they’re comfortable using and turn it into something they know, the more utility it will have,” he said.